Are you looking for a 9x9 shed? 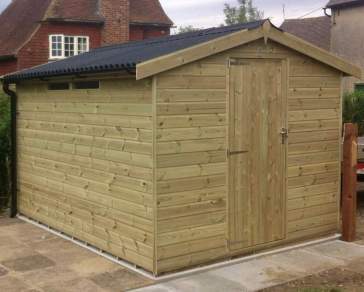 Ace Sheds offer a variety of bespoke 9x9 timber garden sheds. 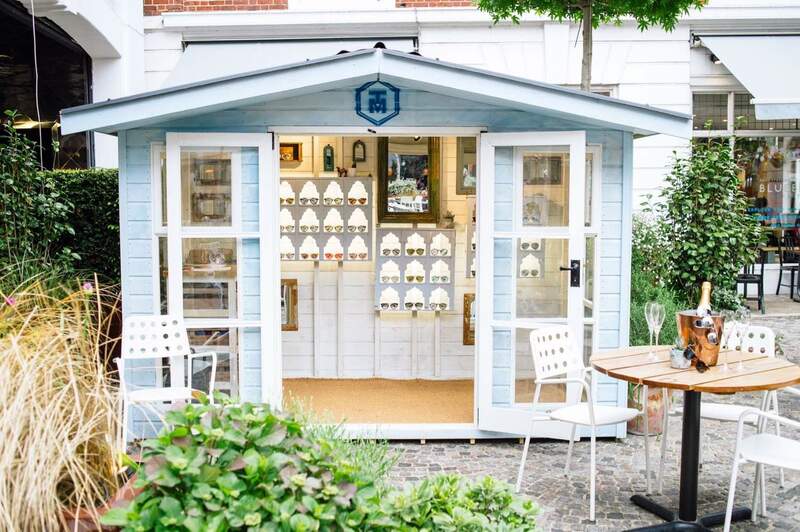 Whether you’re looking for a pent or apex shed, potting shed, workshop or corner shed - we have a variety of styles and designs that can accommodate your needs. 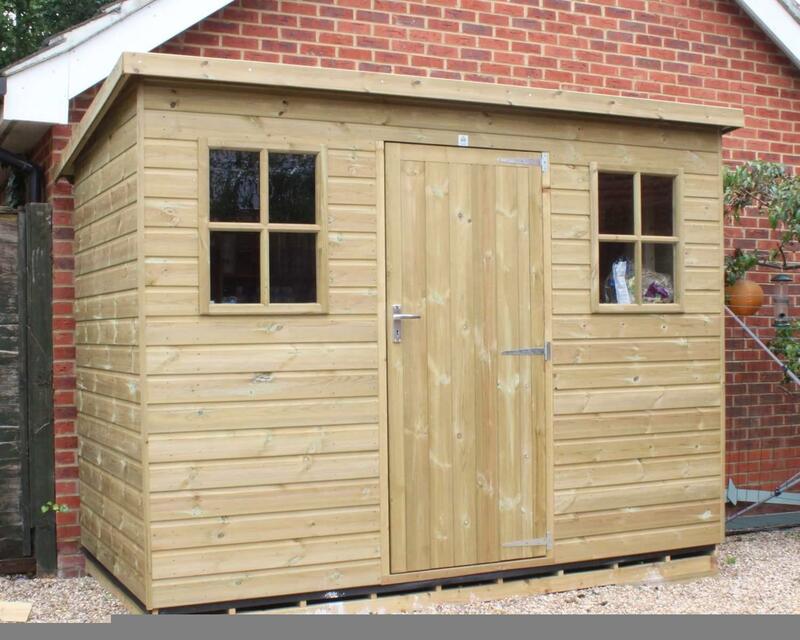 Each of our wooden sheds is durable, hard-wearing and sustainable, ideal for more than just a storage solution - think outside the box! We are proud to have been rated Excellent on Trustpilot for our excellent service and quality garden sheds. 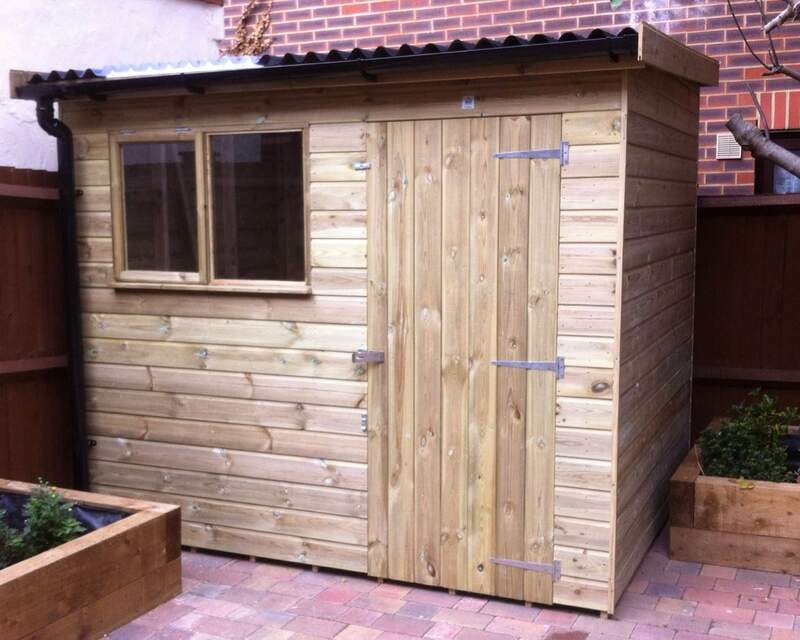 A quality garden shed is a cost effective alternative to creating more space for the entire family. 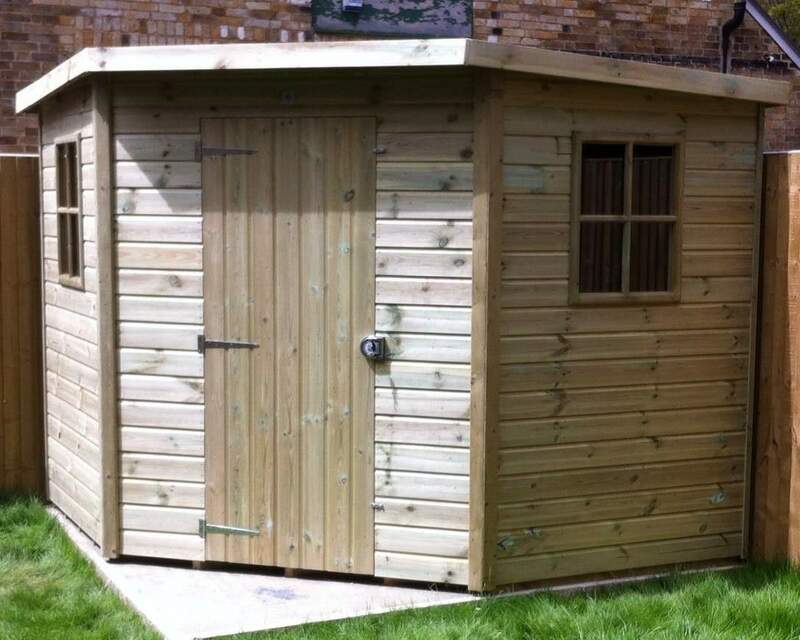 Whether you’re looking to create a playhouse for the children, cinema room, games room or a place of total relaxation - a shed can help achieve your need for greater space. 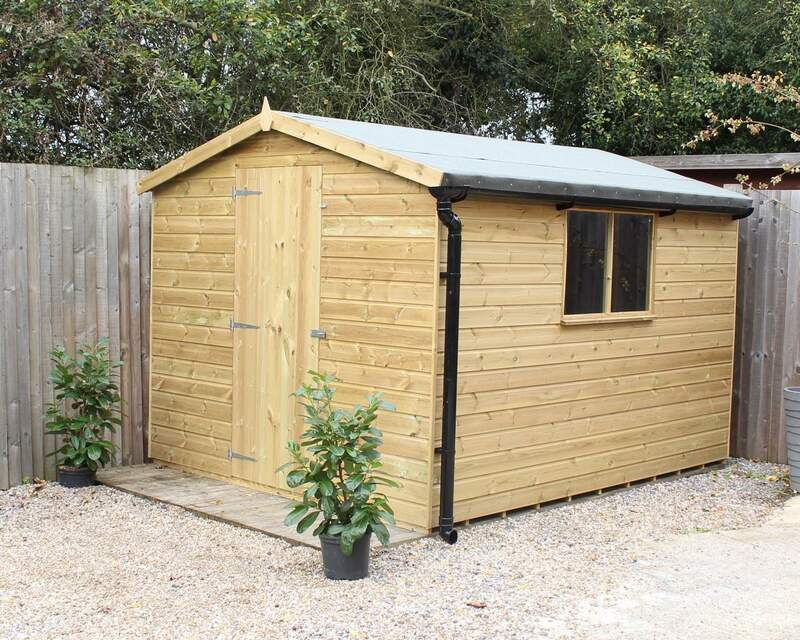 We understand the importance of wellbeing, and that’s why we urge you to put your shed to more use than storage. 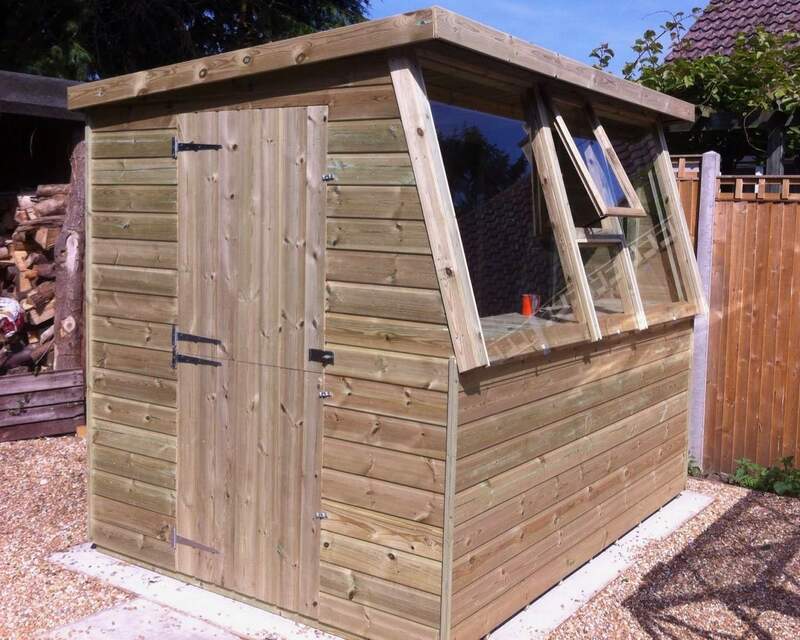 Your 9x9 garden shed can be a place of sanctuary, exercise or to enjoy your favourite hobbies; use your garden shed to improve your happiness and quality of life. 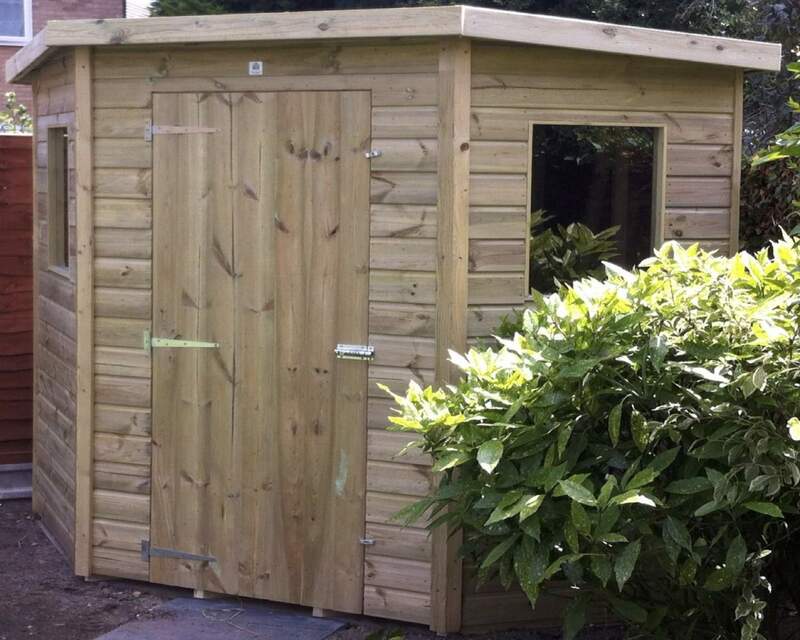 You’ll have peace of mind knowing your garden shed is made from 100% pressure-treated durable timber sourced from Sweden. 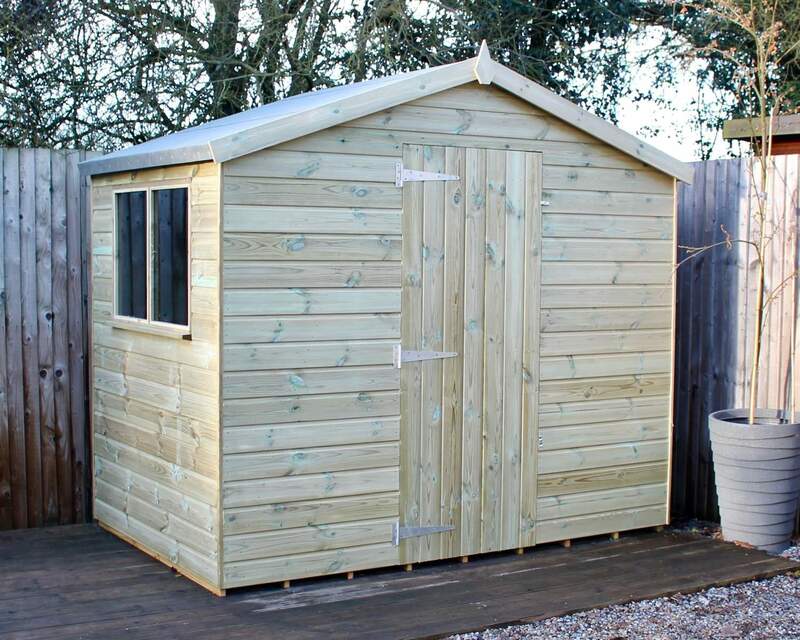 There’s no need to worry about rot, decay or damp, as your pressure treated shed will be well protected from the effects of weathering. 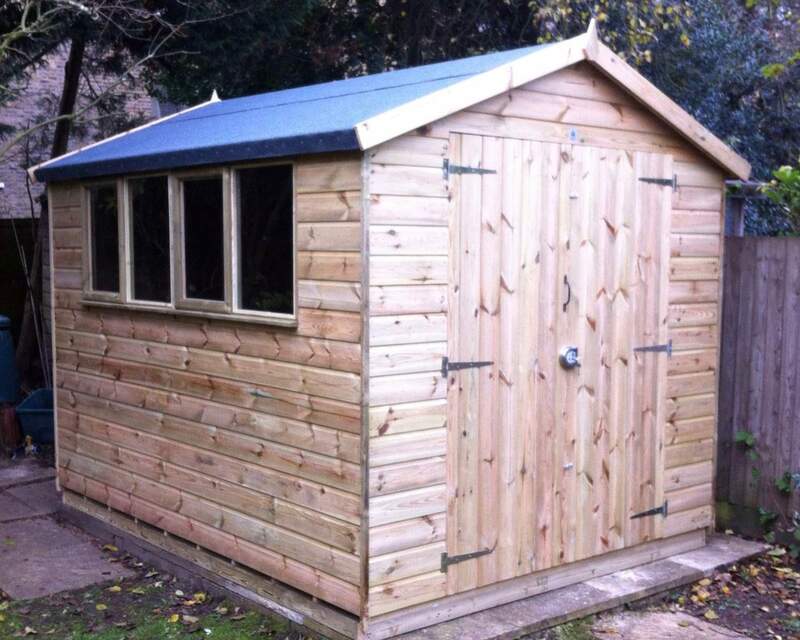 To protect the interior of your shed as well as its exterior, read our insulation shed tips. 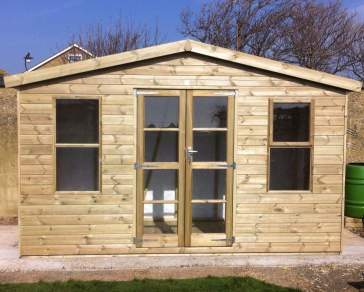 What’s more, each of our 9x9 garden sheds is fully customisable. That means you can make alterations to the windows, doors, cladding, felt and framing to ensure the shed meets your standards and functions as you require. 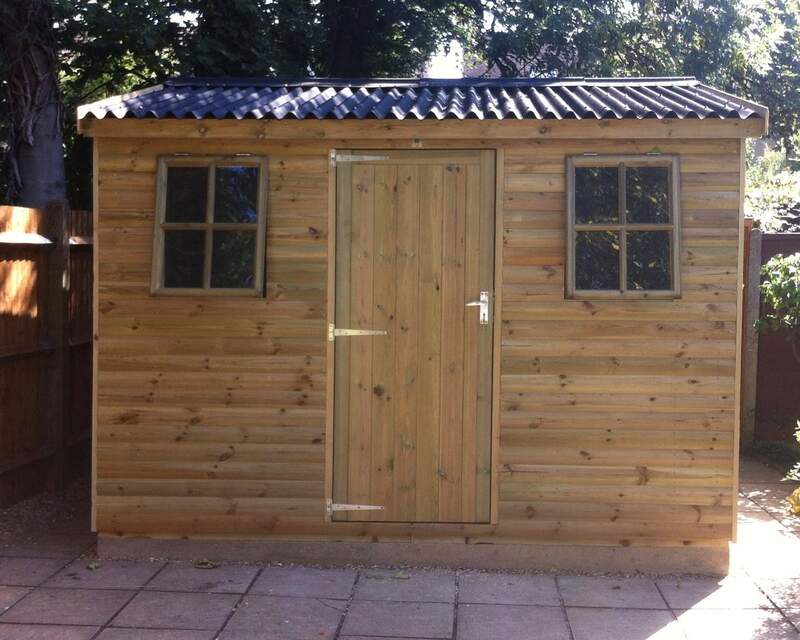 Our customisation process doesn’t stop there, we can also build a completely unique, one-of-a-kind garden sheds based on your ideas and requirements. With a simple drawing/sketch or explanation, we can work closely with you to design and manufacture the garden shed of your dreams. Designed by you, handcrafted by us. Customers in Kent and surrounding areas can benefit from free delivery and installation. Simply enter your postcode on our delivery page to see if your qualify from free delivery or to find the delivery costs in your area. 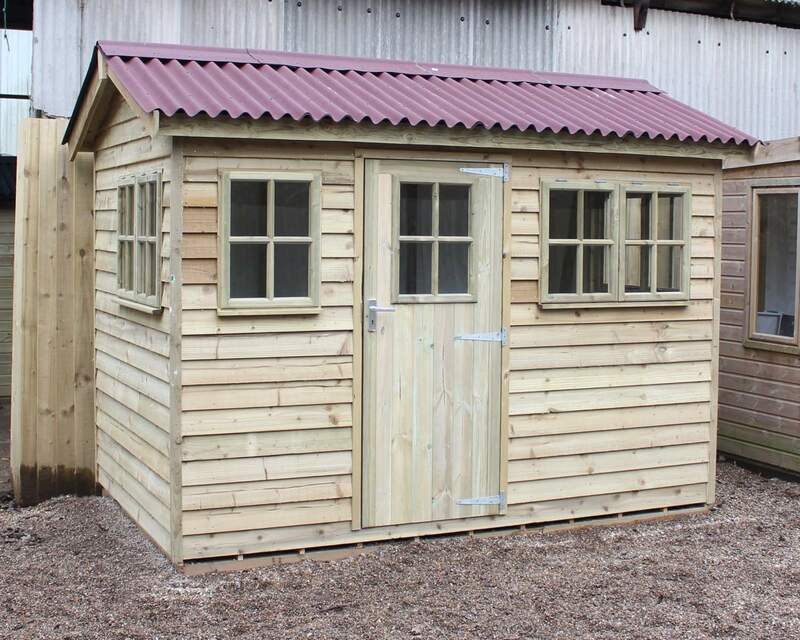 From the moment you place your order, it will take approximately 6-8 weeks for us to manufacture your garden shed in-house at our Kent based workshop and deliver to you. 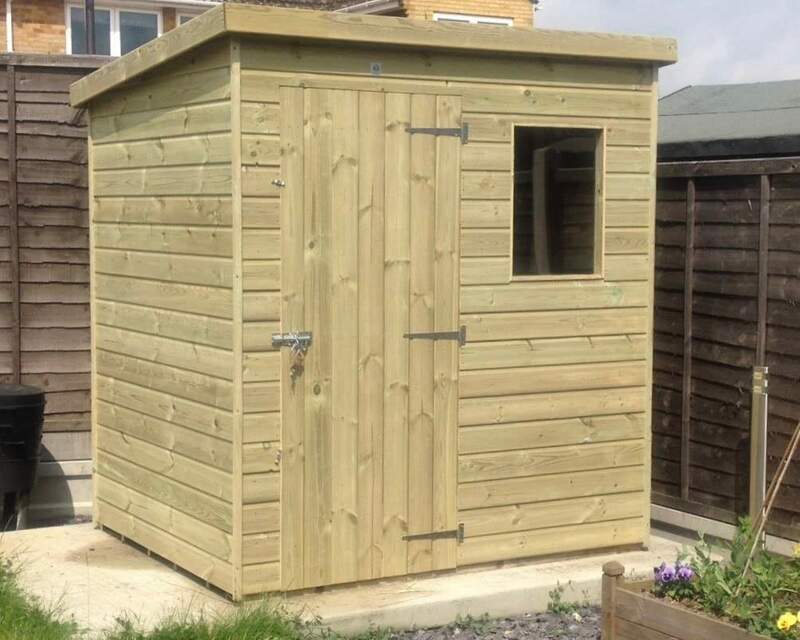 If you want to have a go at installing your new garden shed, that’s not a problem, select ‘delivery only’ at check out.